In the presence of three food experts, this conference at SIAL Paris 2018 investigates the broad food trends for 2018 and 2019, in terms of supply and demand. Discussing this topic are Xavier Terlet (founder and CEO of XTC World Innovation, a partner of SIAL Innovation), Pascale Grelot Girard (Market Intelligence Director at Kantar TNS) and Allison Brivati (Research Analyst at Gira conseil, a foodservice consultancy). For the 4th year running, SIAL presents a unique study dedicated to culinary trends in 2018 and 2019. Entitled "Le goût, le vrai, le sens" ("Taste - True - Meaning"), this study throws the spotlight on the consumer's appetite to reconnect with flavours, as well as the quest for meaning and authenticity through what we put on our plates. Where consumers are concerned, we know that taste takes priority. This is what determines whether or not they purchase a product but also, and above all, whether or not they'll buy it again. If you want your target to repeat purchase, or to come back to a restaurant, the taste must live up to the promise. Today, the Food 360 study conducted by Kantar Media shows that 66% of consumers take care in choosing high-quality products, albeit that this statistic is variable depending on the country. For example, this quest for quality is somewhat less pronounced in the UK, whereas it is widely shared among the countries of south-east Asia. The statistics also underline the prevalence of the pleasure factor in food consumption: 62% of consumers polled said they accorded a great deal of importance to this criterion. It may be noted that this phenomenon can be observed both in the countries of Europe and in the emerging nations. 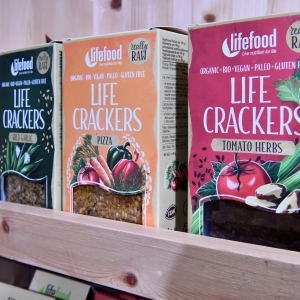 Lastly, 6 out of 10 consumers are on the lookout for new food products. This testifies to an appetite for novelty, with consumers keen to discover new flavours. On the supply side, in both foodservice and retail, tastes are evolving increasingly towards strong, marked and powerful flavours: black garlic, ginger, truffle, saffron, etc. This corresponds to a search for sensations among consumers, along with a quest for authenticity, since it involves flavours that are naturally added or the fruit of a natural process (infusion, maturation, fermentation). 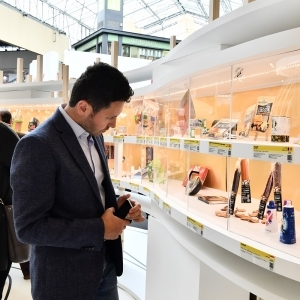 As explained by Xavier Terlet, this trend can be observed both in the winners of the Innovation Trophies and among the 3000 new products presented at SIAL Innovation. 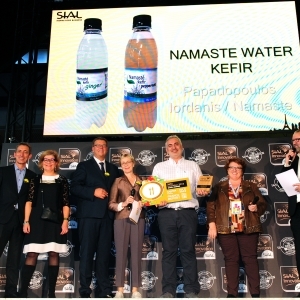 A notable example of this is KEFIR NAMASTE, Gold Award winner for its vegan water kefir with fruits, produced in Greece. 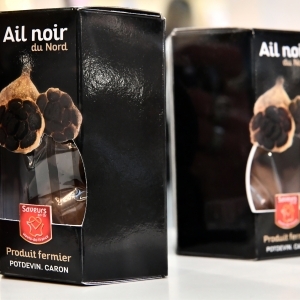 Not to forget the "Ail noir du Nord" black garlic and its subtle flavour, a product of 100%-natural origin which has already been adopted by star chef, Yannick Alléno. For Gira Conseil, the foodservice specialist, taste had been hitherto losing its strength and authenticity. Not least because consumer habits had generated a loss of the link with the seasons. We are now observing a return to seasonal produce, and this can be seen worldwide. We are also witnessing the advent of new flavours deriving from exotic cuisine: Asia takes pride of place (particularly South Korea), alongside Mediterranean cuisine (Israel), and South American cuisine (Peru). Restaurants are increasingly serving as flavour laboratories, where consumers can test and adopt new tastes. Groceries and food stores then follow the path mapped out by the restaurants. 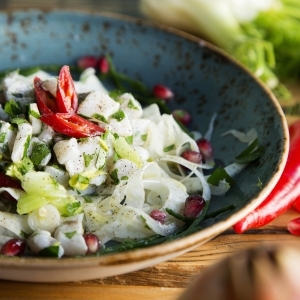 A good example of this is ceviche, a Peruvian dish, which today is proving highly popular in restaurants, but which is just beginning to appear in supermarkets. Today, in answer to the question "What does eating well mean? 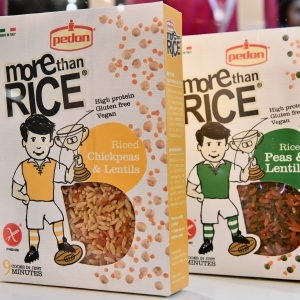 ", consumers reply: eating healthy products and having a balanced diet. Consumers are eager for healthy and authentic products. To this can be added a strong need for transparency, since 9 in 10 consumers say that they expect to be better informed. Composition, manufacturing process, animal husbandry: good traceability is essential. The objective is to reassure the consumer. It may be noted that it is in China and in France that consumers are most conscious of food risks. A culinary trend in 2018, which is likely to remain strong in 2019, is for "free-from" products: free from additives, artificial colourings, antibiotics, pesticides, curing salts, etc. Hence, the organic trend shows no sign of weakening; on the contrary, it is attracting more and more converts to its ranks. Although vegans, and indeed vegetarians, represent a low percentage of consumers, the market is today setting its sights on a new consumer profile: the "flexitarian". This movement, which is said to represent around 50% of the French population, seeks to reduce the consumption of animal protein. The food offering is therefore turning toward innovative products deriving from the plant kingdom (essentially based on pulses), and which taste good! To cater to worried consumers looking for reassurance, restaurateurs and manufacturers are turning en masse toward "free-from" products, and as a corollary toward sustainable farming. Xavier Terlet indeed speaks of "mass organic", since in the face of an organic french market that represents €8 billion, even the most reticent of multinationals are investing. In foodservice, it is the traceability of producer, livestock farmer and arable farmer that is promoted. We are also observing a concrete application of this need for transparency with the advent and propagation of "open cuisine". The "home-made" takes centre stage, and cuisine becomes a true spectacle. The final topic highlighted in this study dedicated to the culinary trends of 2018 and 2019 is "meaning". A growing number of consumers choose their food according to their values. People are asserting themselves (and making themselves heard!) through their plates. This is manifested in the purchasing of local products and a short food chain. Consumers are favouring the plant-based at the expense of meat (with the meat they consume of very high quality for special occasions). A growing proportion of consumers are also opting for brands that guarantee fair pay for farmers, and for food companies that are committed to combating waste. In other words, today's consumer is responsible and concerned, though not to the detriment of delicious and authentic flavours. To meet the growing demands of flexitarians, veggie and vegan restaurants are extending their appeal to a wider audience. Beyond even the notion of flexitarianism, Gira Conseil evokes the "healthy and discerning" persona, seeking to strike a balance between pleasure and healthy eating.